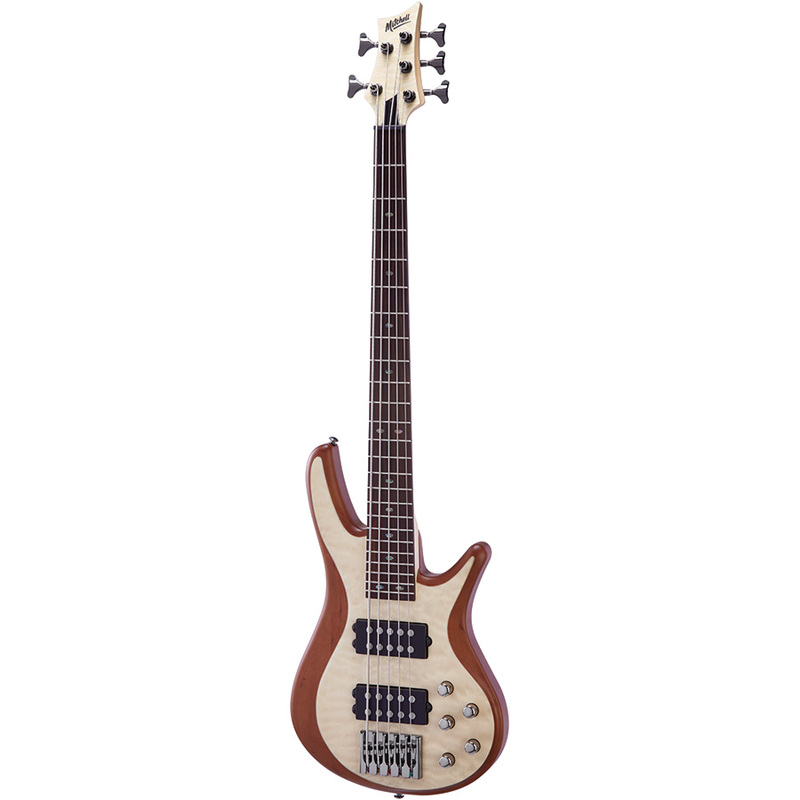 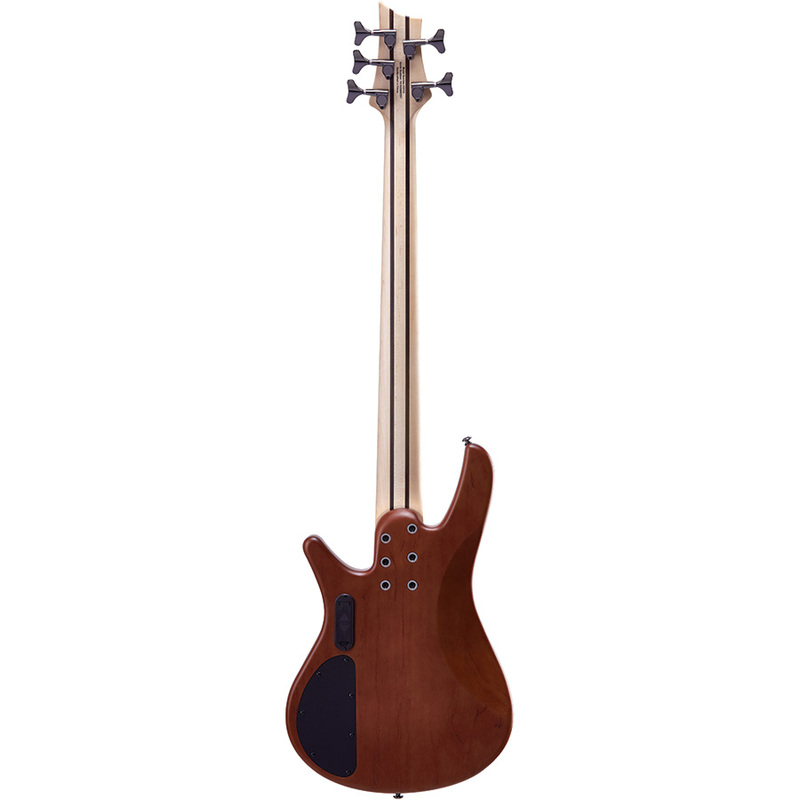 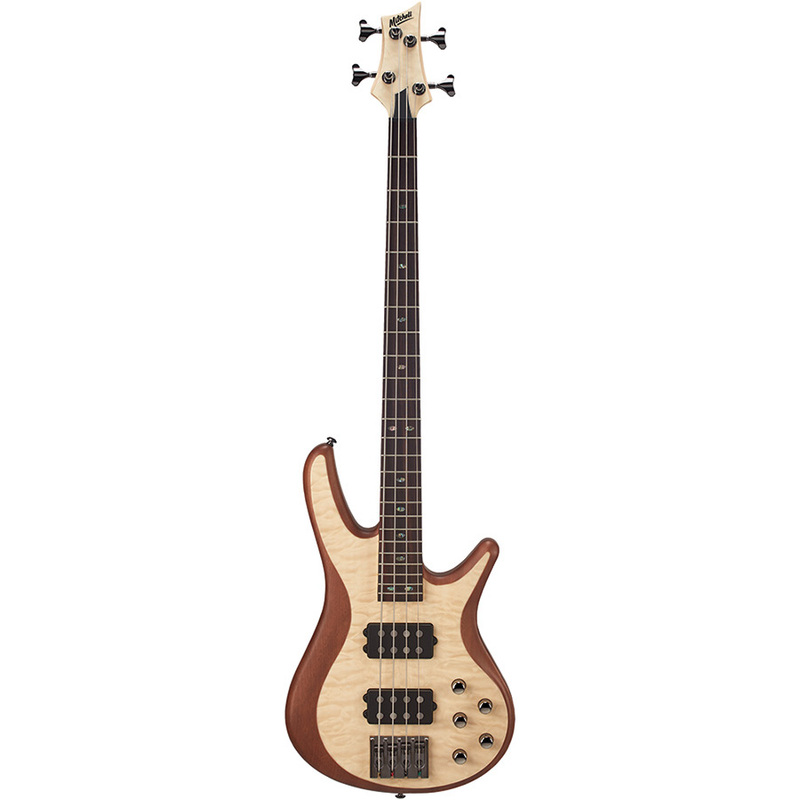 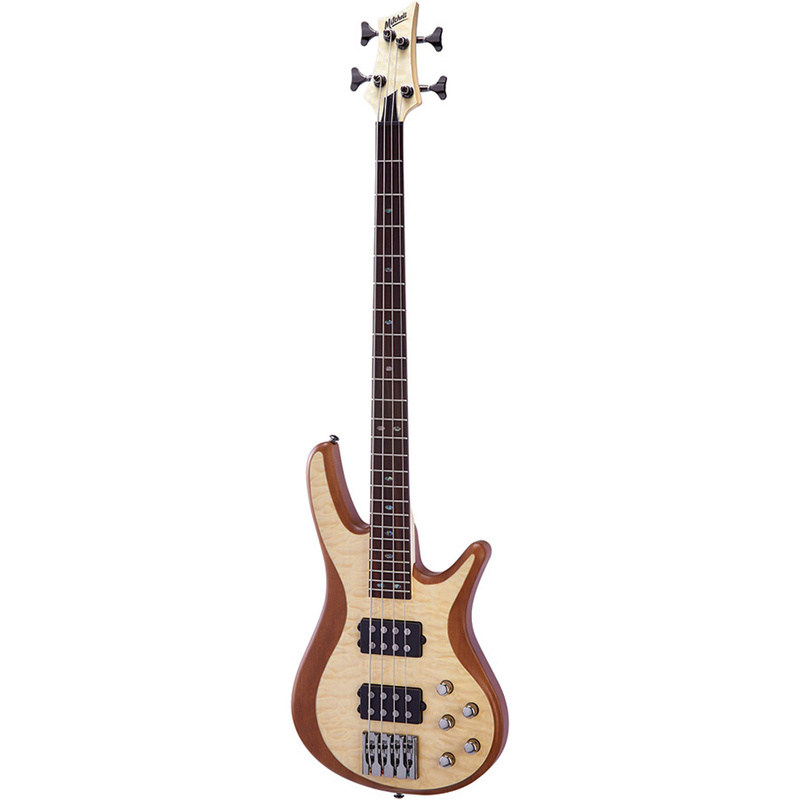 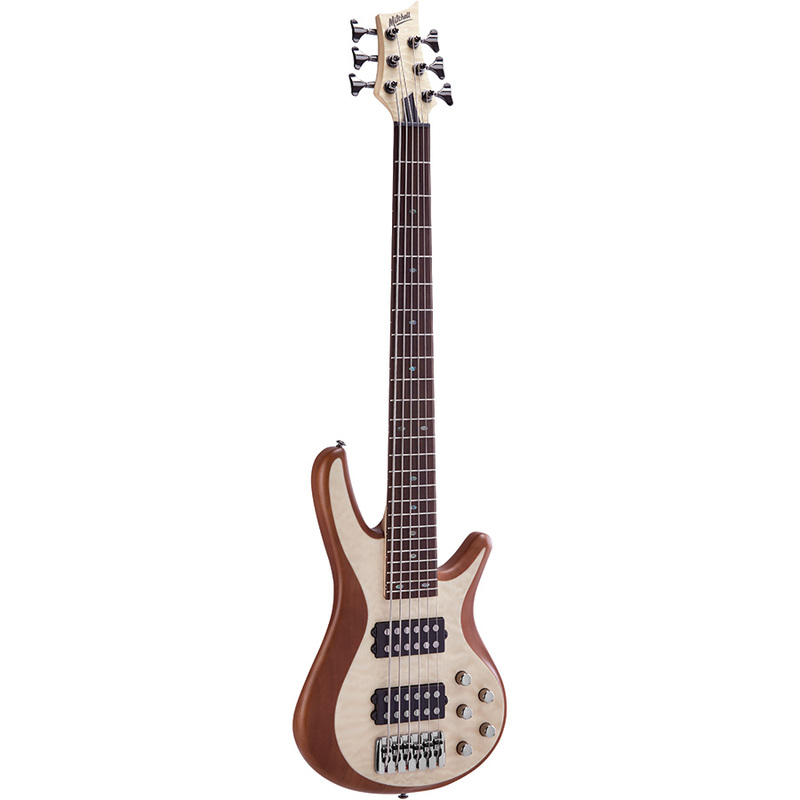 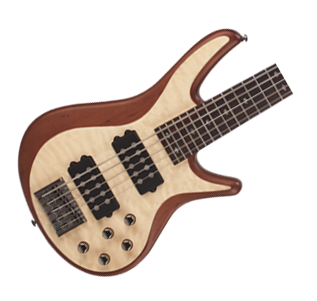 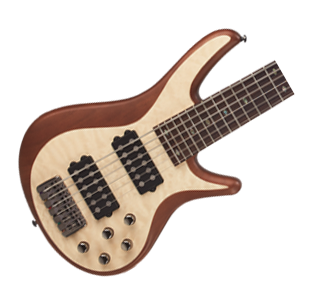 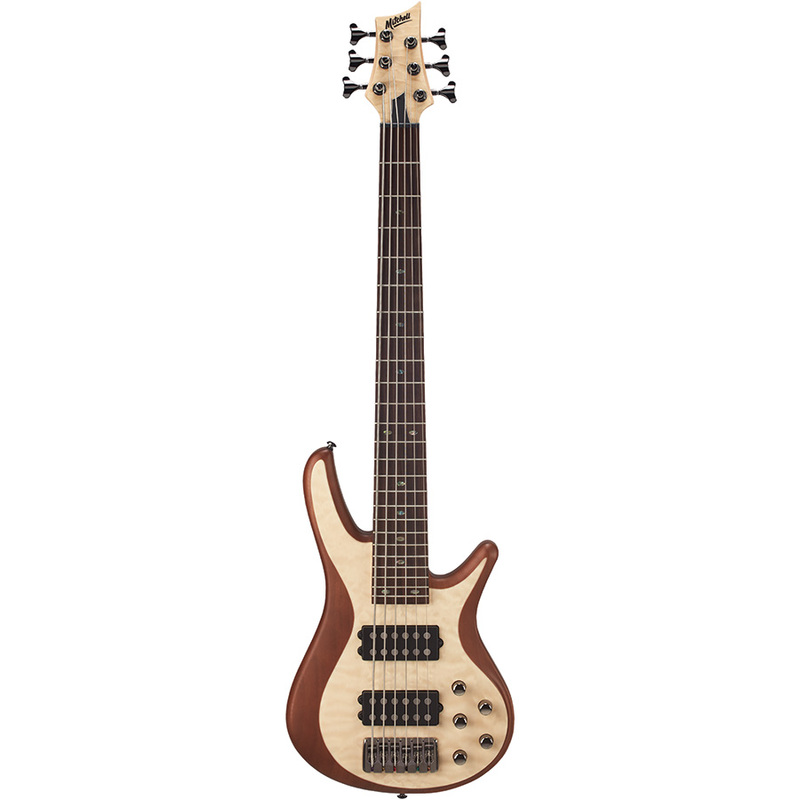 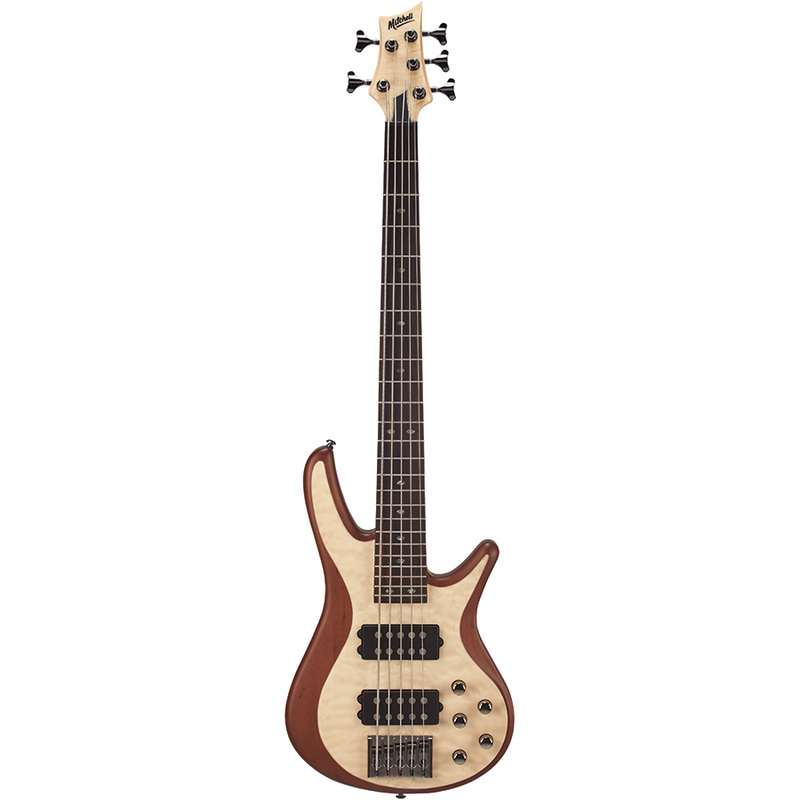 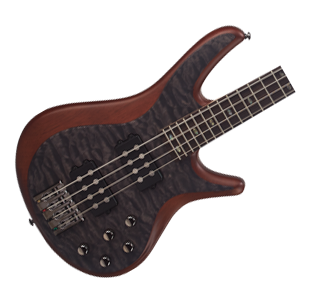 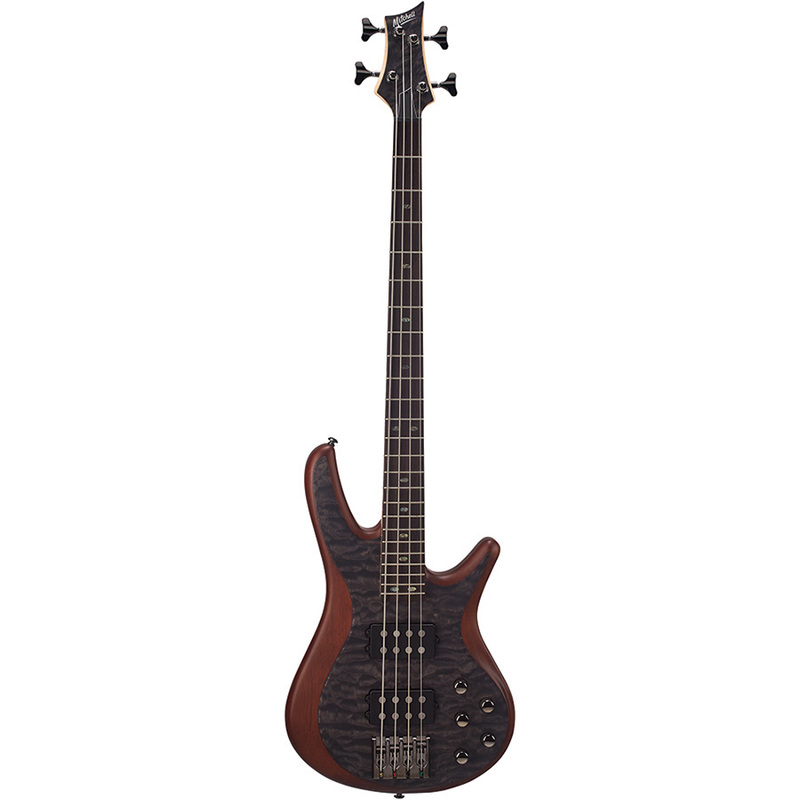 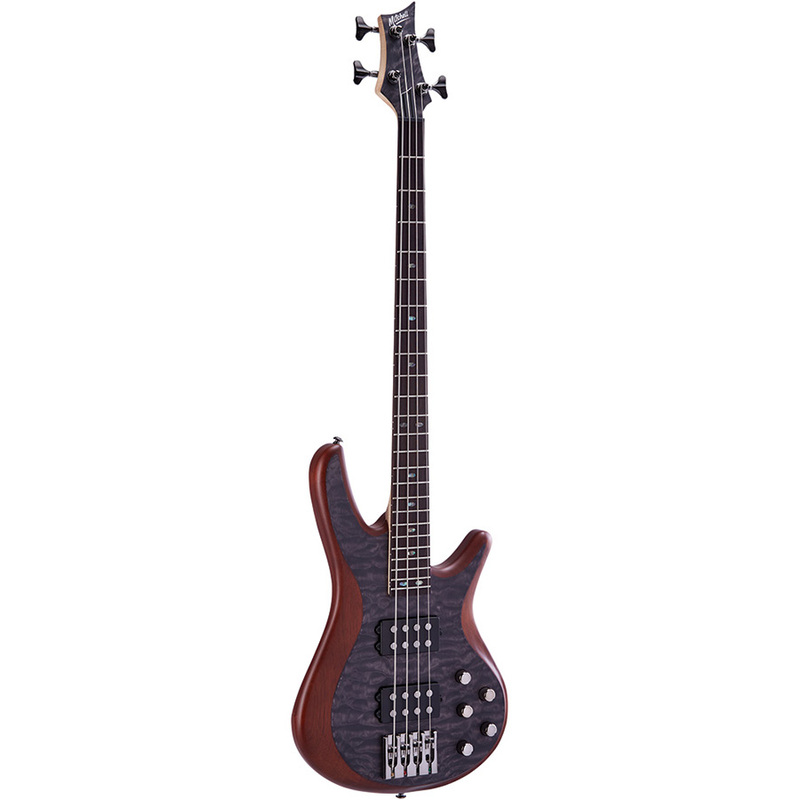 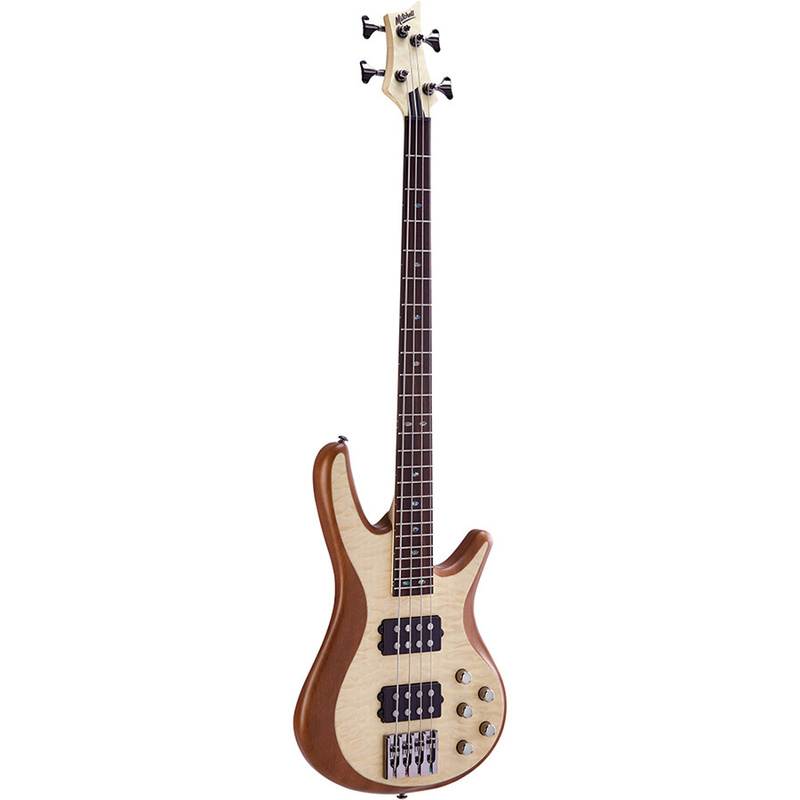 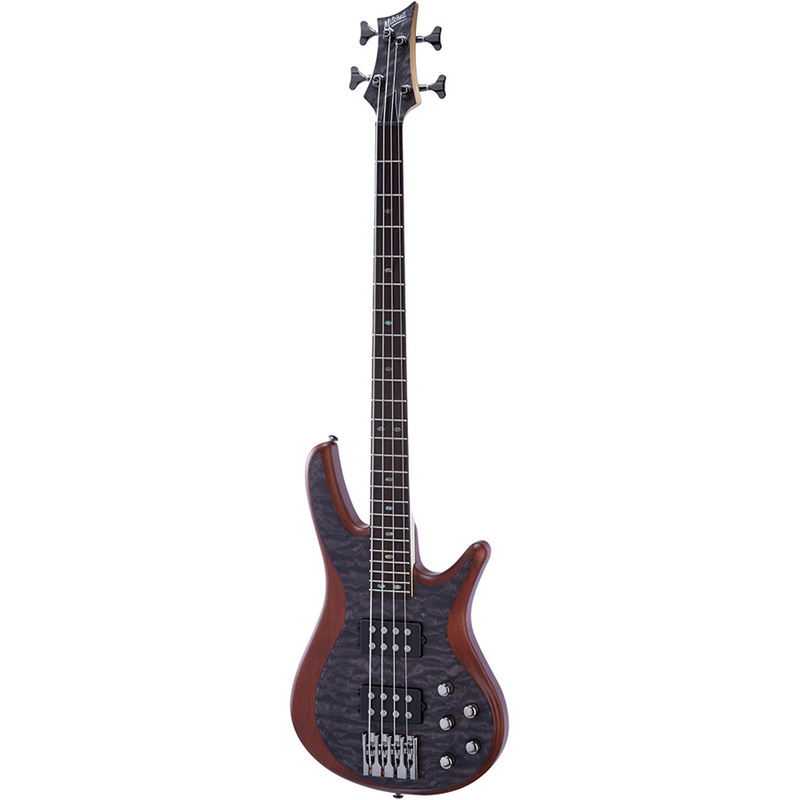 The Mitchell FB700 bass features an offset double cutaway, carved mahogany body topped with a precision-cut AAA quilt maple veneer for high-end looks, and fitted with an easy playing 5-piece maple neck with rosewood fretboard. 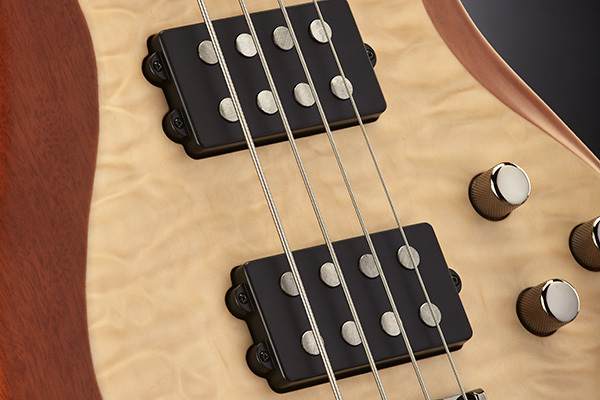 The premium MB4 paraffin-dipped alnico V humbucking pickups provide exceptional tone and microphonic/feedback rejection, while the active preamp gives you outstanding tonal control. 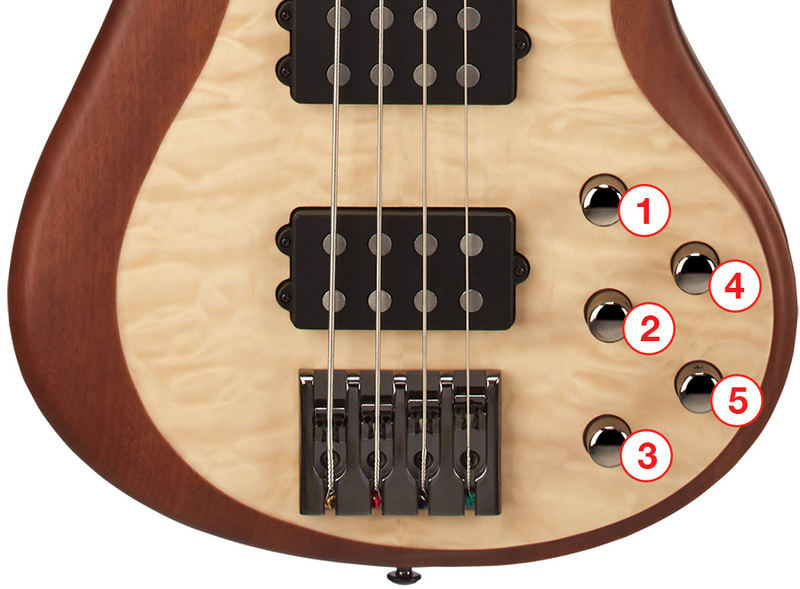 Includes boost or cut to low, mid, and high frequencies, and a pickup blend control knob for even more sound sculpting options. 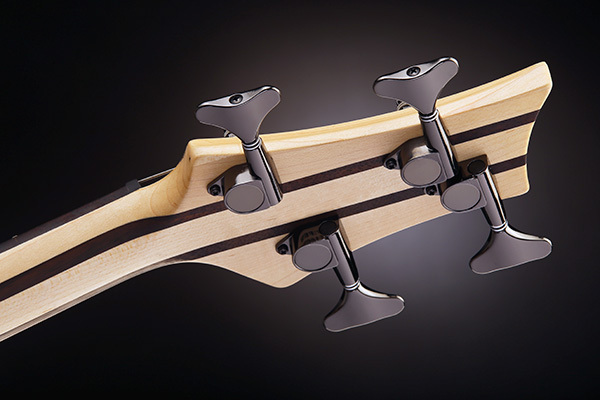 High-tensile strength fretwire and die-cast high-ratio tuning machines add to the premium feel. 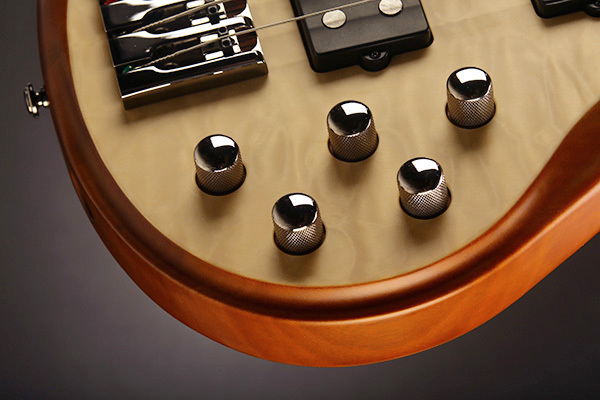 Our active preamp provides a +/- 12dB boost or cut to 3 separate EQ points, offering a wide array of tone sculpting options. 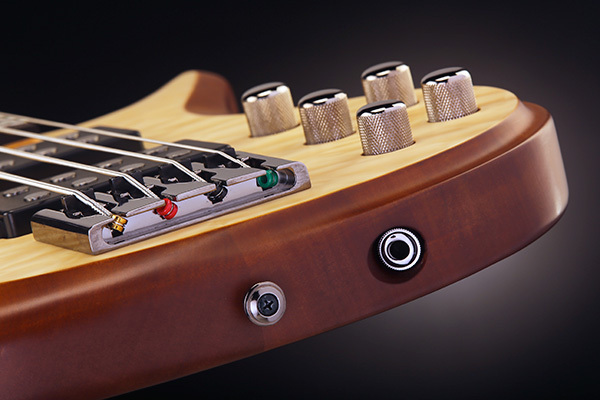 Dual MB4 paraffin-dipped alnico V humbucking pickups provide plenty of fat, even output. Our 5 piece Maple/Rosewood neck provides additional strength and high-end looks. 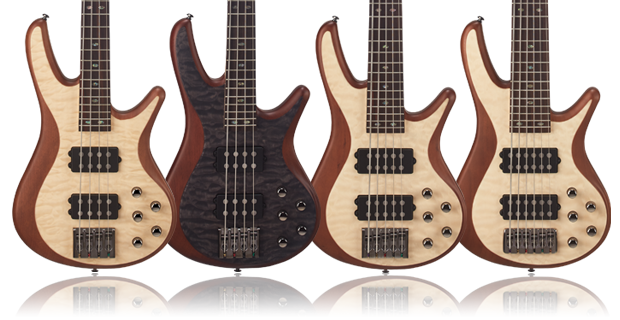 From the multi-genre and fusion instrumentalist, to the rock and blues traditionalist, to the new, advancing player, Mitchell’s FB, TB and MB Series bass guitars provide the feature configurations, sound options and finish choices for every type of working musician whose tone is on the low down.